As 2017 is fast coming to a close, I have been wondering what your favorite golf moment was of this year. Maybe Jordan Spieth's bunker shot or The President's Cup? Did you finally get to play that "Dream" course that you have been wanting to play? 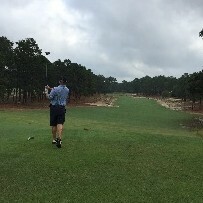 For me, playing Harbour Town was definitely a highlight! I would be interested in hearing what made your season "one to remember"? I would have to say playing the Stadium Course at TPC Sawgrass during the Team Titleist Invitational and scoring birdie on #17. As always, the Team Titleist Invitational is an event that is very difficult to surpass and this year's was no exception.